When it comes to booking artists for their parties, Optimo decided from the beginning only to book those we know. On tour they’ve encounter so many amazing artists who very often are leagues more exciting than whoever is currently getting the most kudos. So, for their Optimo parties at The Sub Club throughout 2015 they will be bringing a series of acts from Australia, Japan, Switzerland, Holland, England and Glasgow. Some of them have truly blown their minds and they think it’s a sin that they’re not better known. Perhaps this is because they don’t play the promotion game or perhaps it’s because they just simply couldn’t care less. 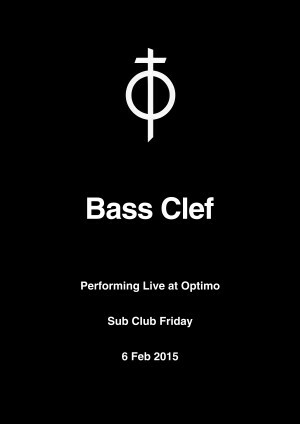 First up, on FRIDAY FEBRUARY 6TH we present BASS CLEF from London via Bristol performing live at their Optimo Bi-Monthly party at Sub Club . 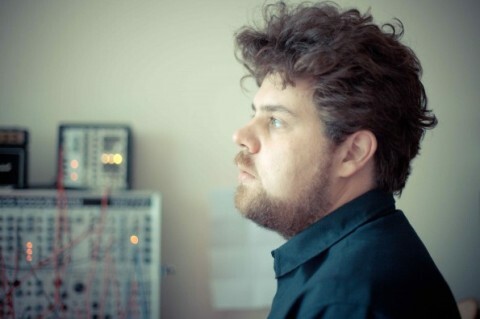 From the series of parties they’re planning for this year BASS CLEF is the one artist who has actually played Glasgow before but hey, it has been too long!